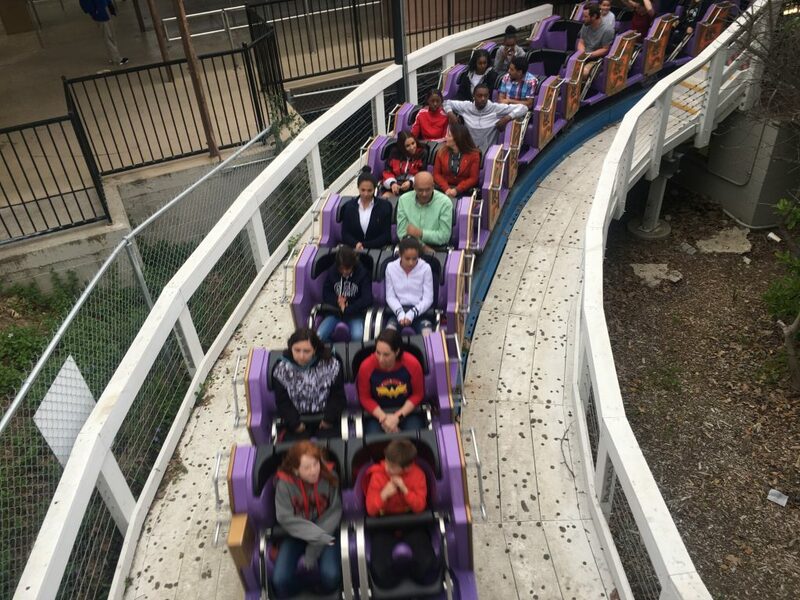 Derrion: Hey folks we decided to head to the park for a quick Six Flags Magic Mountain update. The crowds are coming back, so be mindful of the days you will be visiting the park. We recommend going during the middle of the week for the best experience. 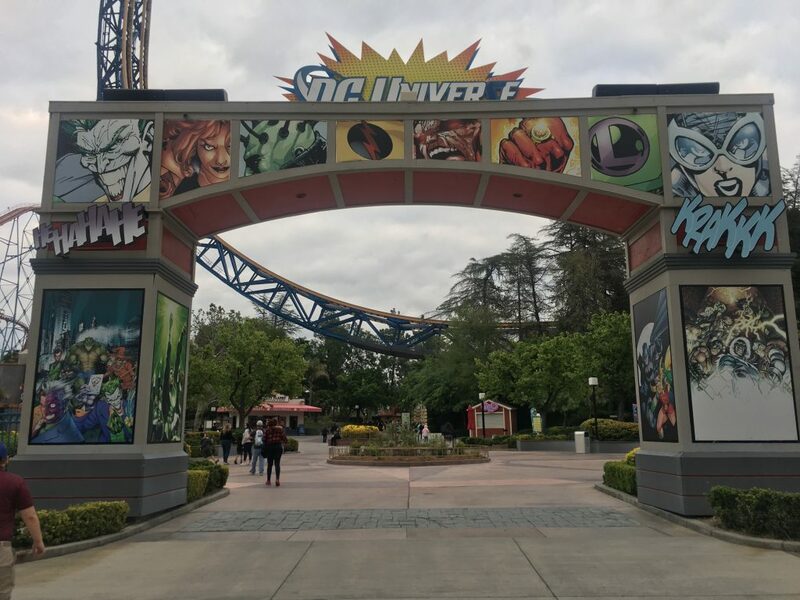 Lets check out some of the parks most recent changes! 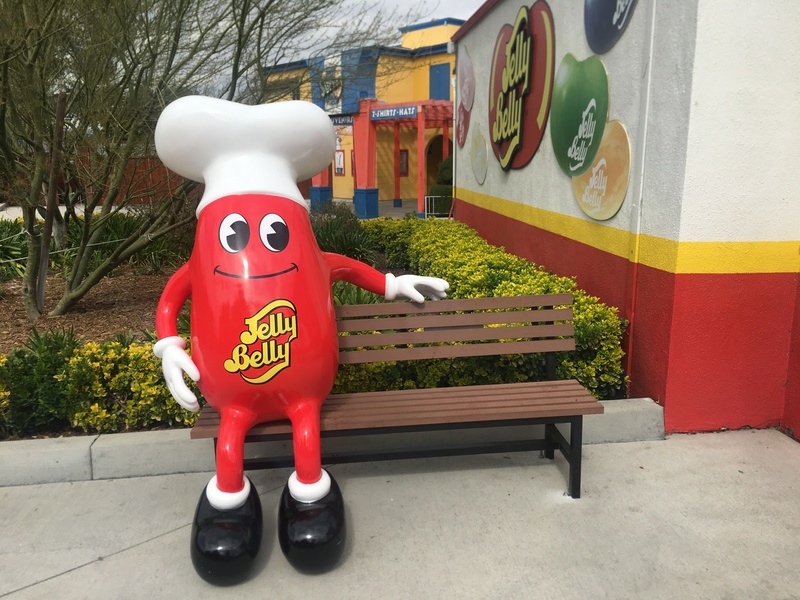 I found this fellow sitting outside the famed Jelly Bean store. The store had been closed for sometime now, but is now open for guests to enjoy. 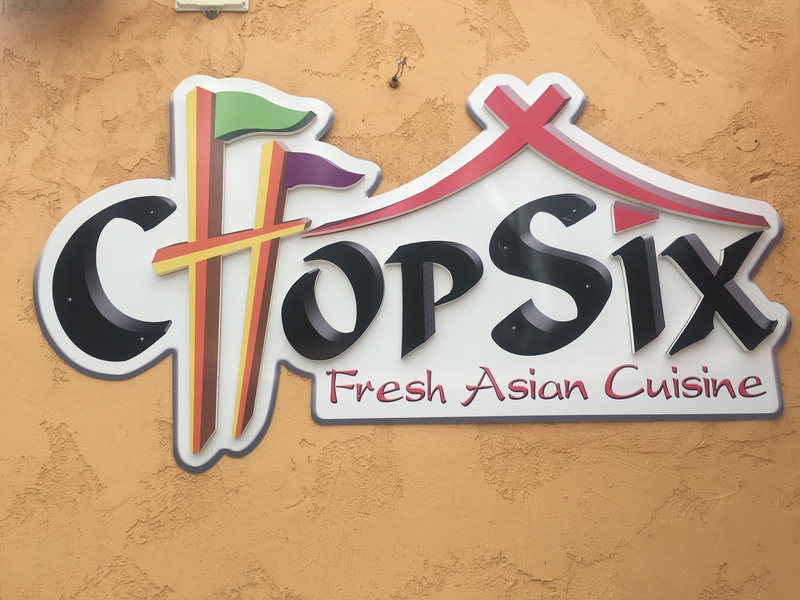 Another one of my favorite restaurants was open to my surprise on a Wednesday. 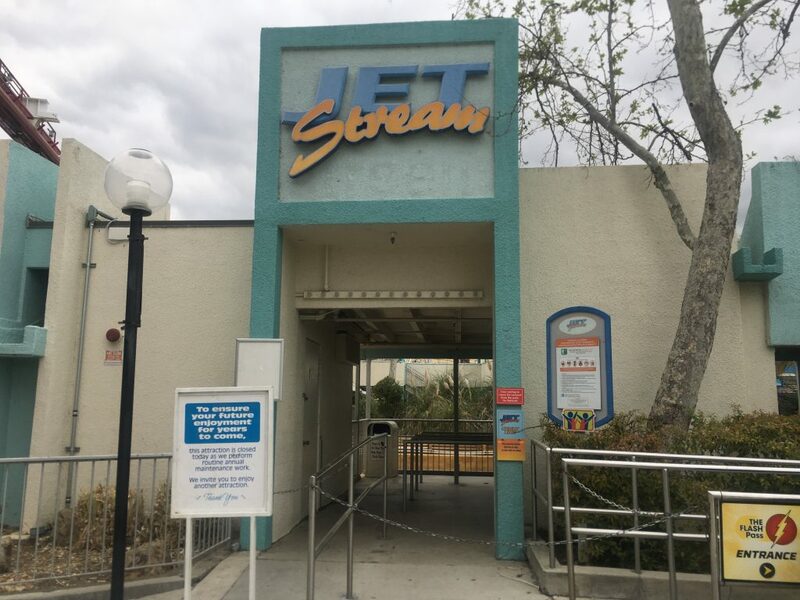 This is a sure sign that the crowds are moving back into the parks on the verge of Spring Break because this establishment is only usually open on weekends. 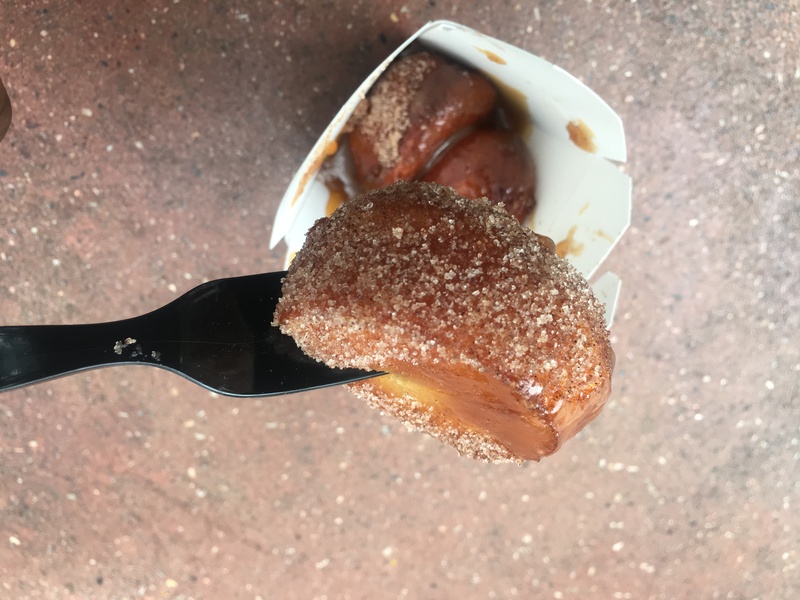 The Asian donuts are so yummy! 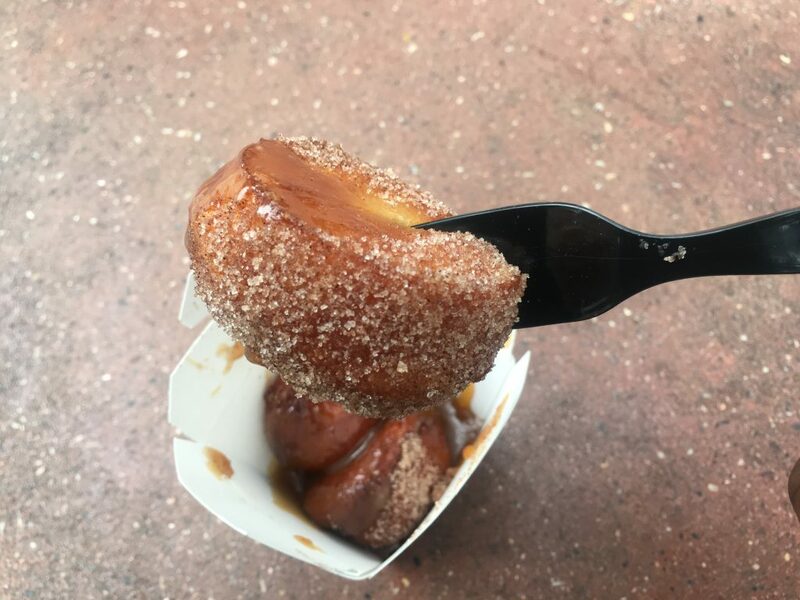 As of now, it is one of my favorite snacks in the park. For guests who have a meal plan you can get them for snack. 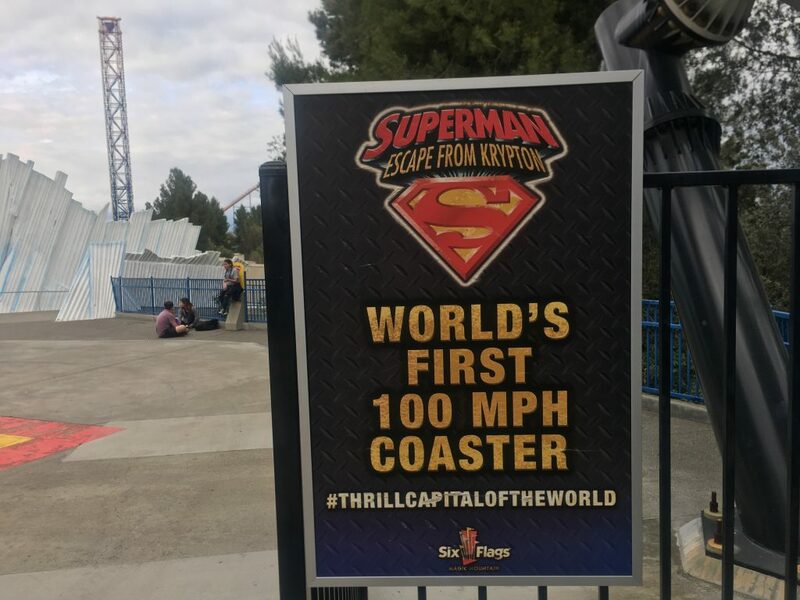 It is amazing to see the worlds first 100 mph coaster back in business. Back from refurb, Superman Escape From Krypton is running better than ever. It had only one train operations this day so the lines were a little long , but the train was definitely going above the 300′ mark . 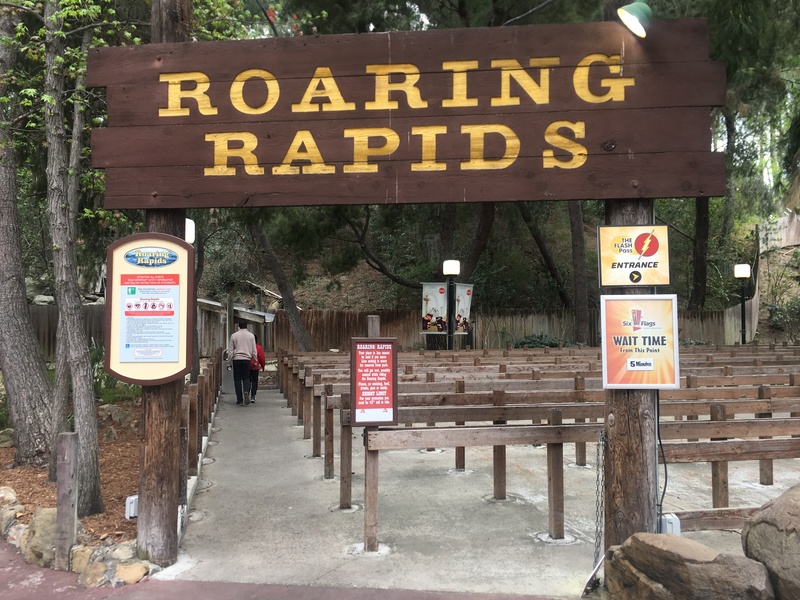 It was chilly day in the park, so we did not get a chance to ride the newly re-opened Roaring Rapids. Tidal Wave was also open on this visit. It has been closed for many months now and it is great to see the park operating this attraction. Who knows it could be gone soon? Jet Stream however was not open on this visit. We reported the attraction closed a while back due to unforeseen circumstances, but it is officially closed for its annual refurbishment. The water has been completely drained from the attraction. There is a ton of rebar now lying on site to be placed in the ground. Once there they will be filled with concrete for the ride footers. The constructions site has been prepped and these will be in the ground in the coming weeks. 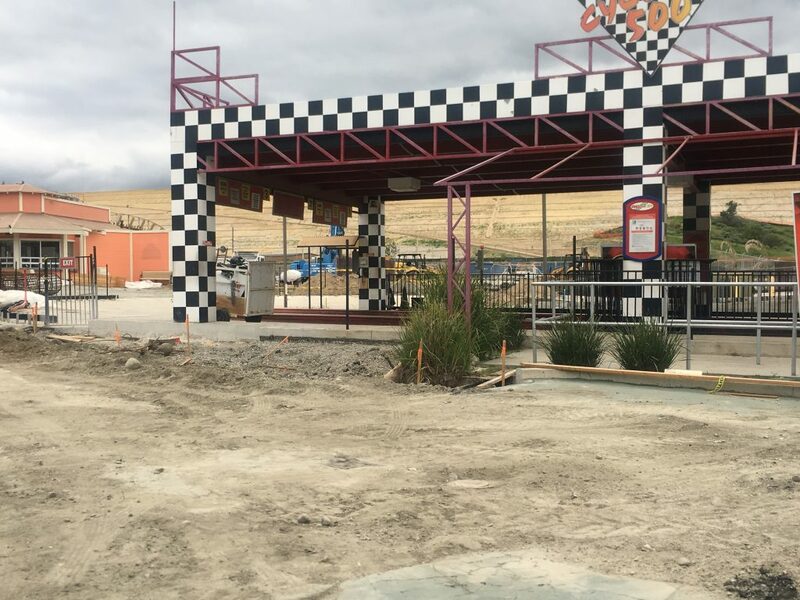 Over on the Cyclone 500 race track the land is being cleared for the new supports. 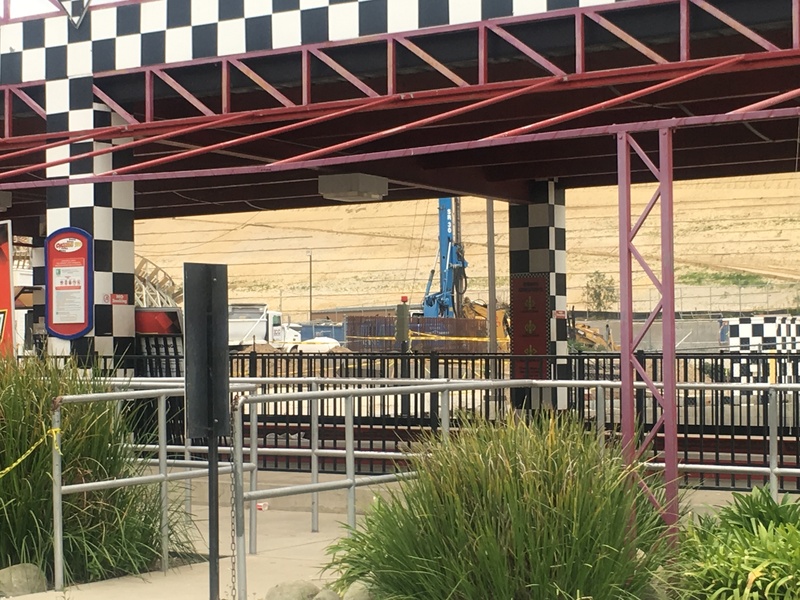 There is a huge impression near the race track that will also be filled with concrete to make way for the spaghetti of supports that will tower over the track. There is no visible progress on the buildings or area aesthetics at the moment. 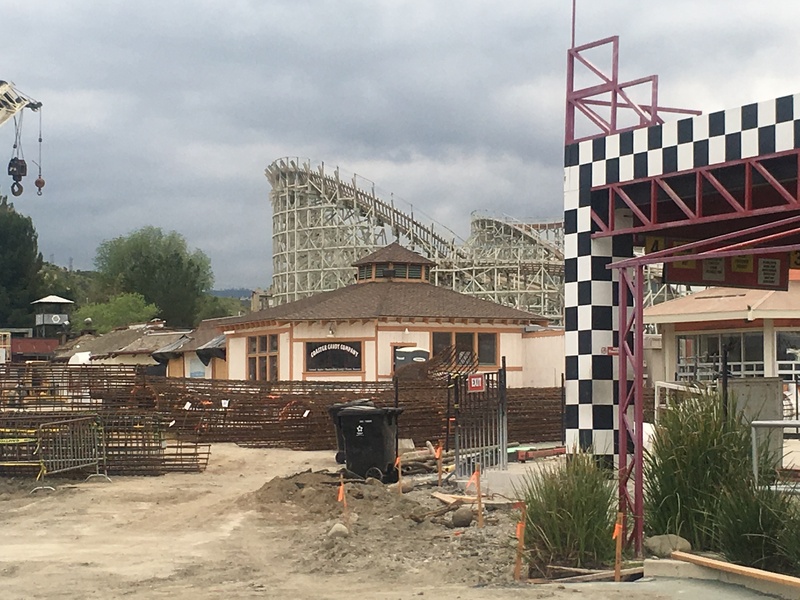 The construction workers are moving extremely fast on this project to keep it on track for a summer opening, and progress has picked up exponentially. The moment we have been waiting almost 8 months for! There are now footers on site. These particular set of footers will serve the supports for the two initial launches and brake run. This is exciting as we should be seeing supports on site very soon. Over in the Twisted Colossus queue I am not sure if I have never seen this before but I noticed the plantar has no plants in it! It looks emptier than usual and I feel nice flowers would make the line that much more visually pleasing. Twisted Colossus was running 3 trains on this visit. I finally got a race on my favorite attraction in the park, even though it only took 3 months. Ah, DC Universe. I am a DC fan at heart and I love this overlay to the land. 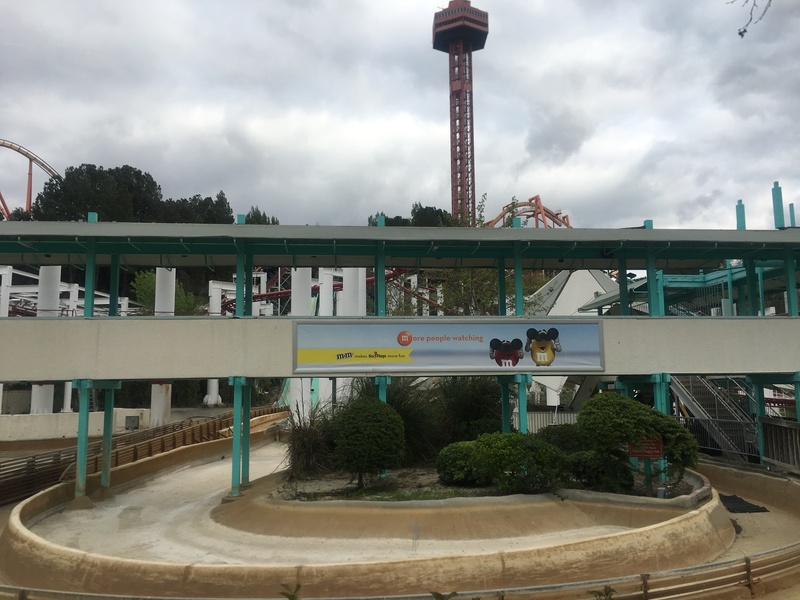 I can not wait to see this area at Six Flags Discovery Kingdom this summer! 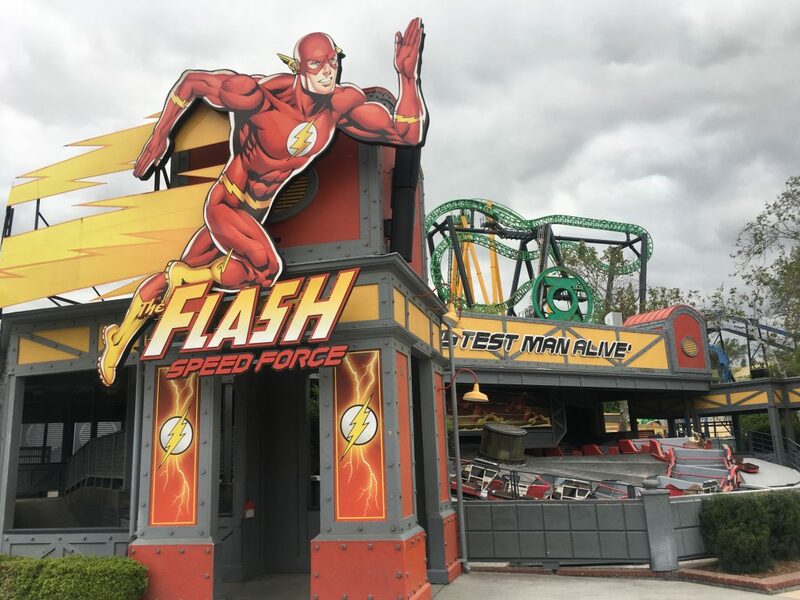 The Flash: Speed Force is down for its annual maintenance. 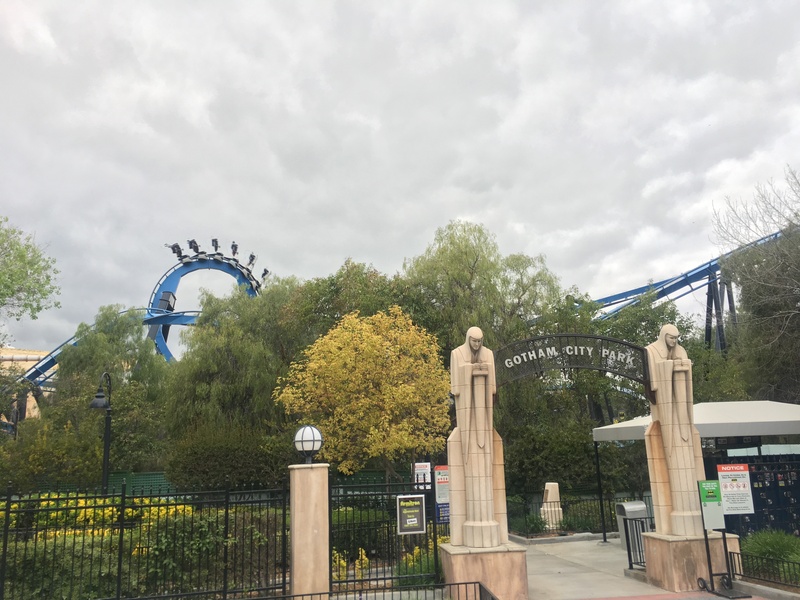 Who else rides other than roller coasters at Six Flags parks? 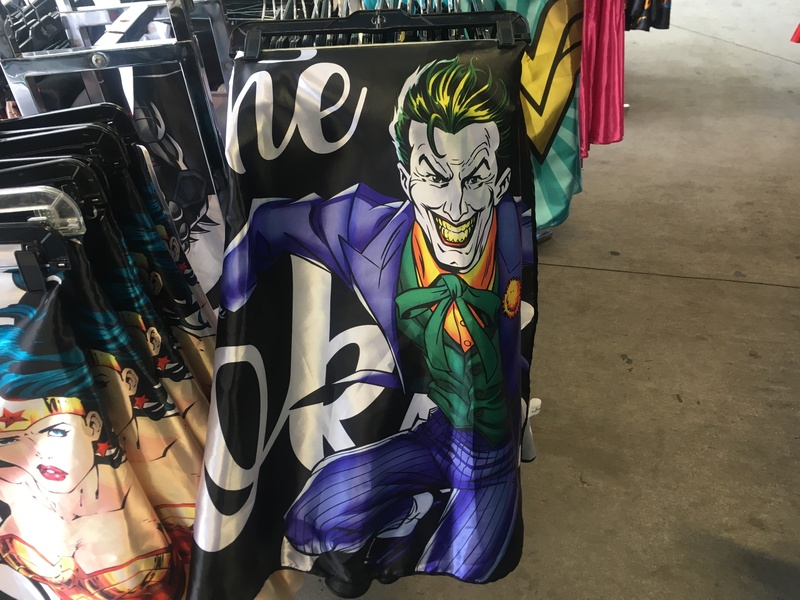 If you are a fan of the super hero/villain capes, there are now new capes with your favorite DC characters. The new capes are so vibrant and pay cool homage to the classic animated comic book characters. I am not sure why I never usually ride Batman: The Ride on my visits, but it truly is a hidden gym of the park. This B&M still packs and intense punch and the layout of the ride is unbeatable for its size. We could not close out the post without discussing the elephant in the room. 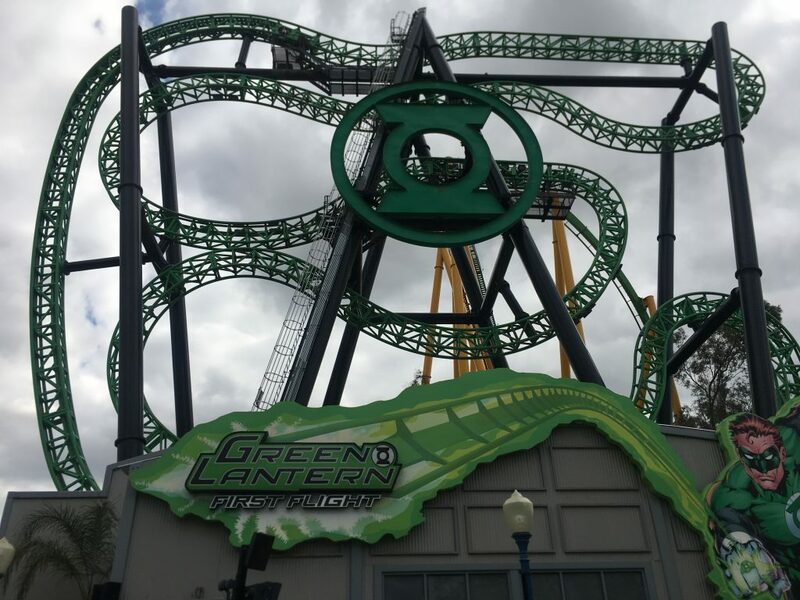 If you have not heard the news , Green Lantern: First Flight will no longer be in operation at Six Flags Magic Mountain. A lot of guests did not seem to enjoy this attraction anyway, but I truly will miss it because it was one of a kind in America. There is still no word on if the attraction will be sold to another park or scrapped. 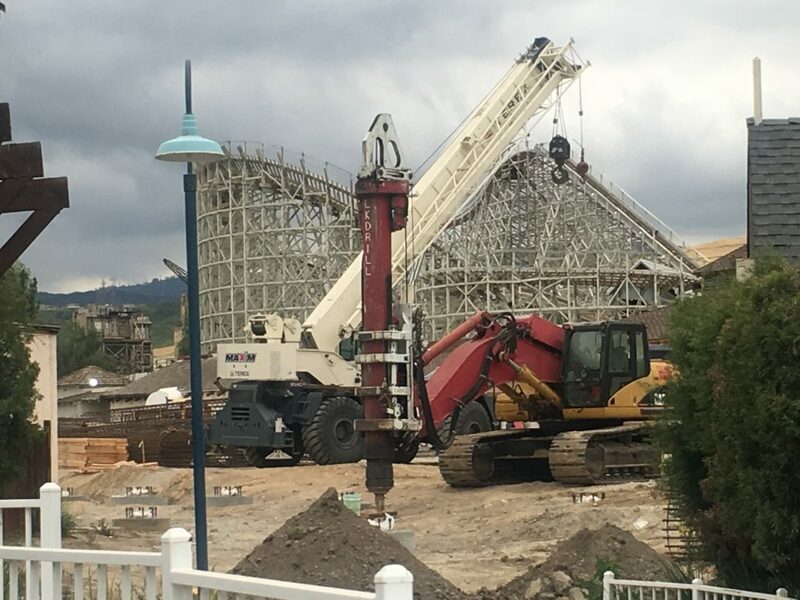 We will keep our eyes on this attraction as we get more information. 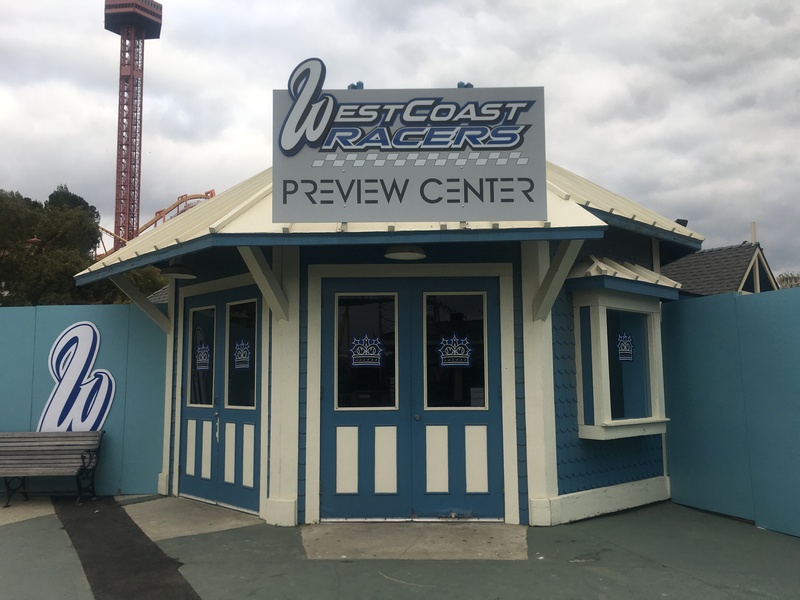 This will bring the parks coaster count to 19 once West Coast Racers opens. Let us know your thoughts on the removal of this short lived attraction in the comments below. Thank you again coaster royalty for reading this update thus far. Please continue to follow us on Instagram and Twitter. I had no problem with Green Lantern. 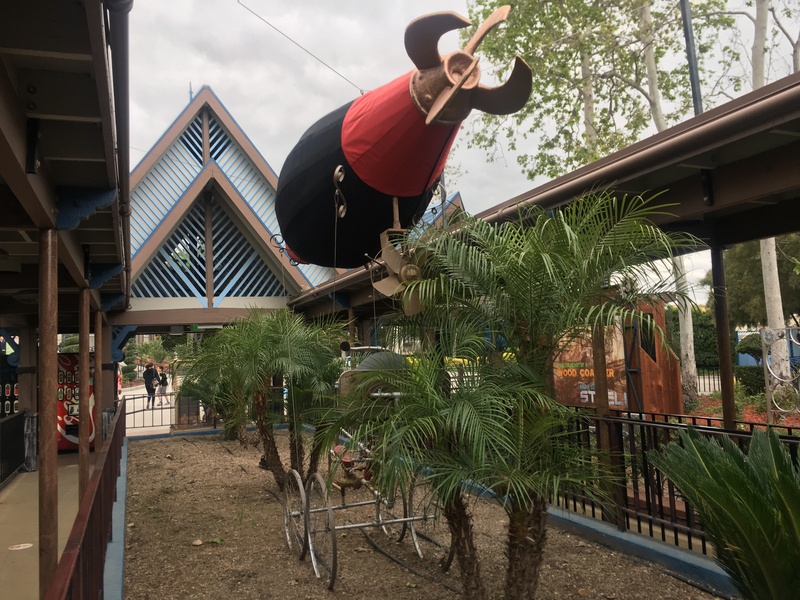 It was unique, but maybe another Six Flags park can put it to good use. 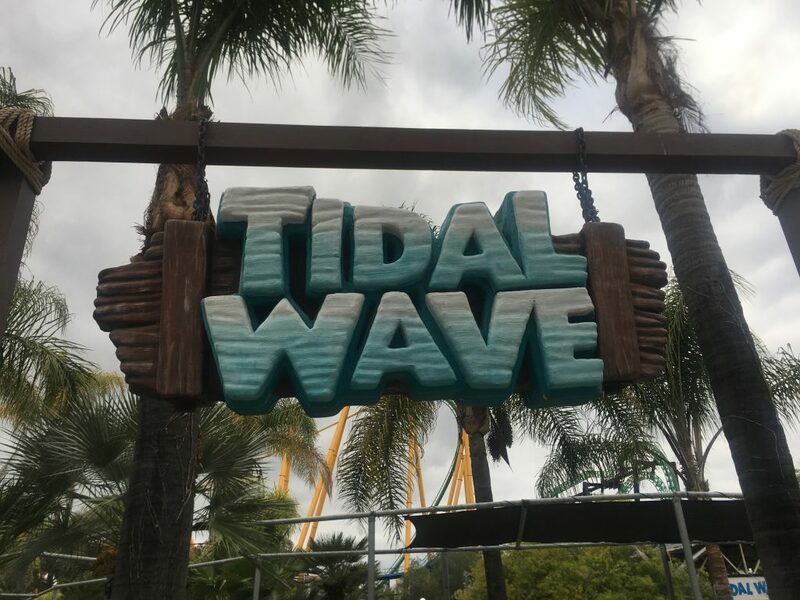 But think about this: with Green Lantern gone, there will be quite a bit of space for something new—and good—if Tidal Wave is also removed.